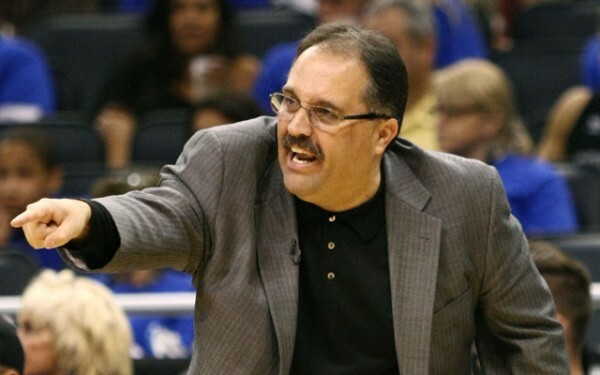 In a slightly surprising turn of events, Stan Van Gundy ends up as the head coach of the Detroit Pistons despite the interest of other teams, specifically the Golden State Warriors and the Cleveland Cavaliers. The Pistons simply offered more control for their new coach in terms of personnel decisions. The Warriors made Van Gundy their top target, but seemed to decline and move away from him after he presented his demands for more control than what most head coaches get. The Pistons, still looking for a new basketball head of operations after letting go of Joe Dumars after the season was over, were happy to bring over a head coach with experience and plenty of success on his resume. The Pistons haven’t made the playoffs since 2009. Last season, after signing Brandon Jennings and Josh Smith, adding them to the big man duo of Andre Drummond and Greg Monroe, most thought they’ve done enough to finish in the Eastern top 8, especially considering how weak the conference has been in recent years. The end result? Only 29 wins, with two head coaches – Maurice Cheeks and John Loyer, being unable to maximize the team’s potential. Van Gundy has been the head coach for the Miami Heat and the Orlando Magic in the past. He has been fired twice, but has never had a losing record with any team or in any season. His overall record is 371-208, taking the Orlando Magic to the NBA finals in 2009 and adding two more conference finals appearances: Once with Miami in 2005 and again with the Magic in 2010. Van Gundy signed a five year deal worth $35 million to try and bring a team that has had six consecutive losing seasons including three in a row of under 30 wins to meet the expectations of the ownership and a city used to seeing much better basketball from this team. Chemistry has been cited as the main issue for last year’s failure, but bad coaching had a lot to do with why the team underachieved so blatantly. Van Gundy will now need to hire a experienced personnel guy to act as the day-to-day GM. Credited for developing Dwight Howard (or at least being part of that) into the best center in the NBA, now Van Gundy has his hands full with Andre Drummond and also Greg Monroe, if the Pistons choose to keep him this offseason. Van Gundy wasn’t sure if he was going to get back into coaching, and now he needs to prove that the Pistons challenge which has been too difficult for many over the last six years was a good enough reason to leave the comforts of broadcasting.